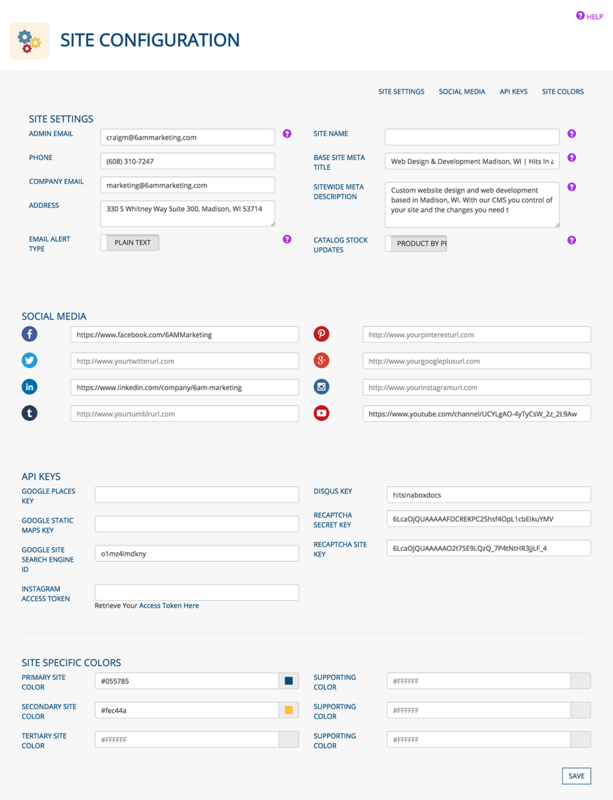 Complete the SITE SETTINGS, SOCIAL MEDIA and SITE SPECIFIC COLORS sections in the Site Config app. Learn more about these settings. 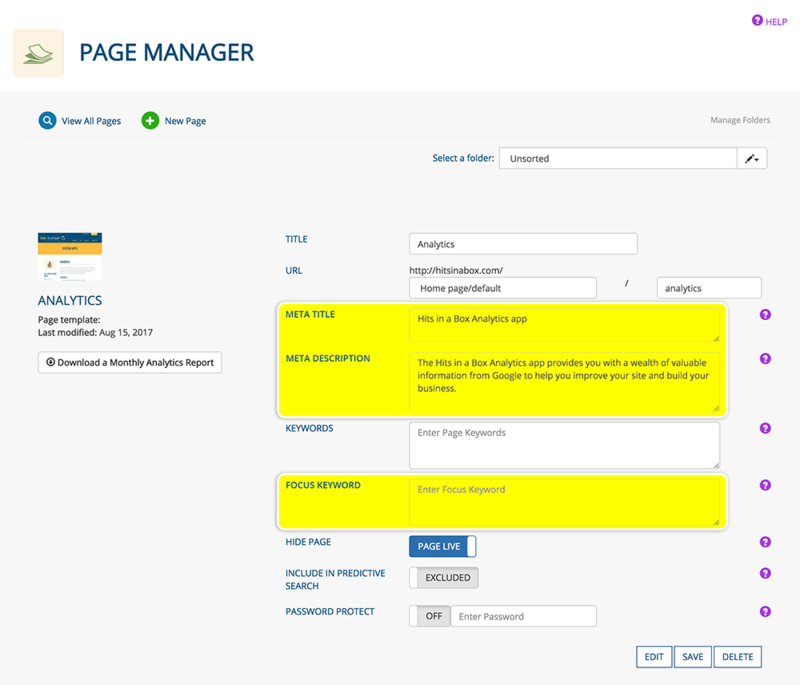 Provide meta information and a focus keyword for each of your pages in the Page Manager app. Learn more about these settings. Log into your Google Analytics account via the Analytics app. 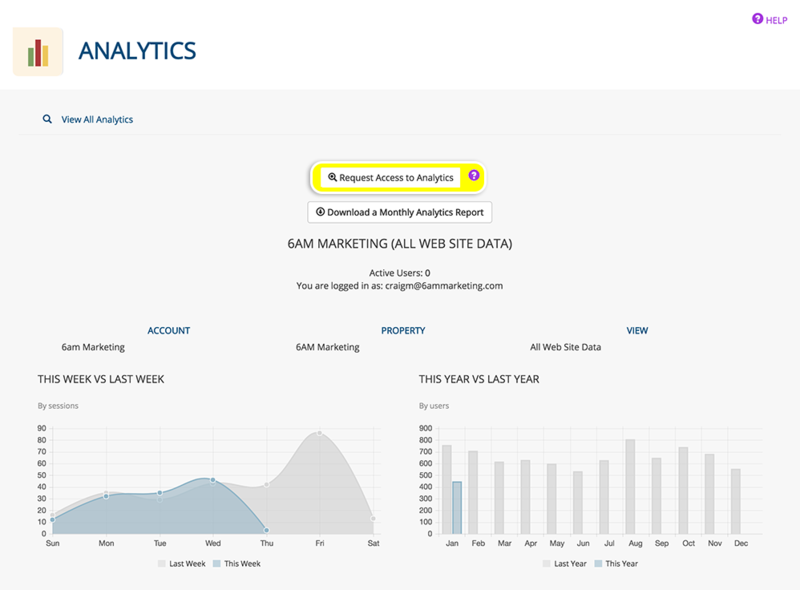 Learn more about the Analytics app. Enter the email address(es) you want form submissions to go to via the Data Manager app. Learn more about the Data Manager app.